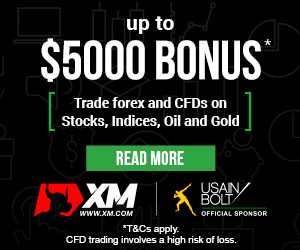 After the close of American markets on Tuesday, the US dollar has remained under constant pressure. The expectations for the changes in the currency have been that of going higher and higher, as fears that the performance of the market and the downturn of the 10 years curve might be signs of an oncoming recession. Our own predictions last week favoured the dollar, but we have yet to see what comes next. The market performance on Tuesday was less than favourable, showing the pessimistic outlook that most of the investors have on the current political ongoings in the US-China relations. The unspecified details and success of the potential trade deal that the two sides might be coming to are being sceptically considered, at best. The lack of faith is caused by President Trump’s recent statement that “A deal will probably be made” by that at the same time he remains a “Tariff Man”. The lack of response or specification from China causes further doubt in the minds of investors, which is why the issue of the market slide became so pervasive last night. Something else that caused a nervousness in the investors was an inversion of the two-year and the five-year note curves, which many thought would be followed by the inversion of the two-year and ten-year yield curves, which is believed to be one of the first signs of a coming recession. Thankfully, this did not occur. Masafumi Yamamoto, the chief currency strategist at Mizuho Industries in Tokyo believes that investors are much more likely to react to weak data and that the US Dollar is likely to be in correction mode in the next few weeks. The currency exchange rate has come a long way since last week. The fall from the US dollar was compensated (very slightly) for by a slight rise in relation to Yen, rising 0.1 per cent to 112.91 Yen. This came after a large loss at the previous Tokyo exchange session, when the US dollar had its biggest fall since July 20th. The Yen to Dollar relationship will remain rather stable unless there will be any rather dramatic falls in the two-year yields. The Australian dollar fell 0.4 after its reports of less than expected Economic growth, even despite the growth is positive. The AUD had grown earlier after reports of a successful US-China meeting earlier, though this has changed over the past days. 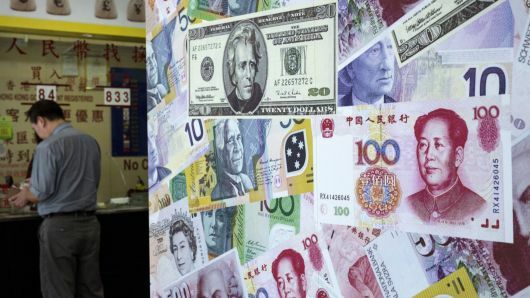 Australia is one of the benchmarks for showing the changes in the Chinese economy, so it comes as no surprise that the political situation is being reflected in the Australian Dollar currency rates. The Euro went a little lower after losing 0.1 and going down to almost 1.1335. With the United States Markets being closed for the day in observance of the national mourning day for the US ex-president George HW Bush, who passed away on Friday, we will be waiting an extra day to see how things develop further.